Opened to the public in 1929, the Alkaff Gardens was a well-known and frequented leisure site for many a weary urban traveller and resident. 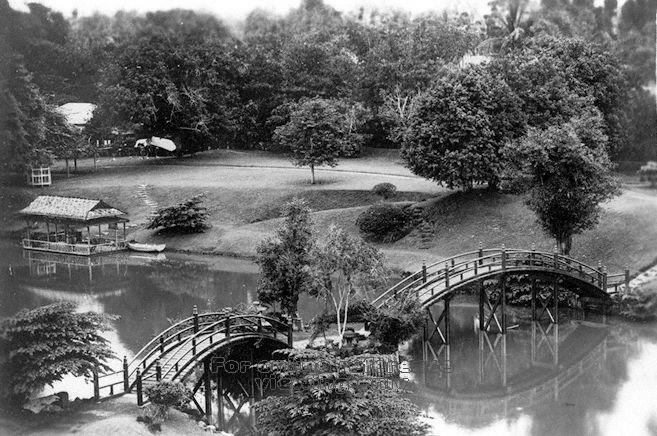 The beauty of its Japanese-styled natural setting was unprecedented and it became a haven that filled the pages of authors and film reels of the early filmmaker. 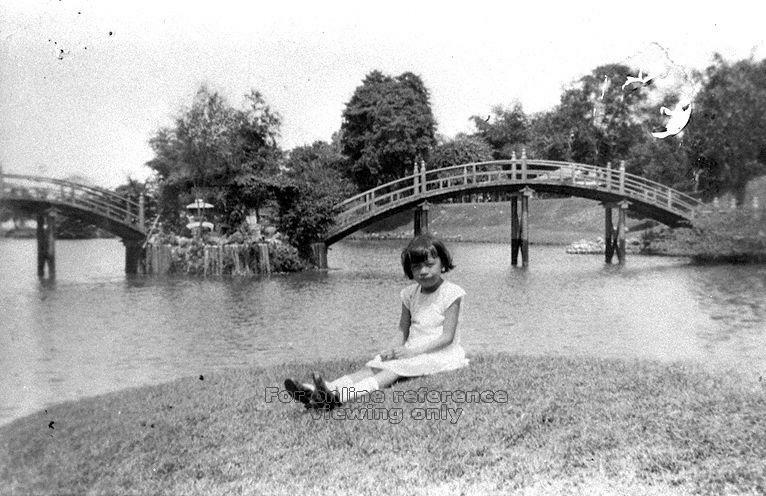 Some would say that it was a literally a Mecca during the colonial age of Singapore. 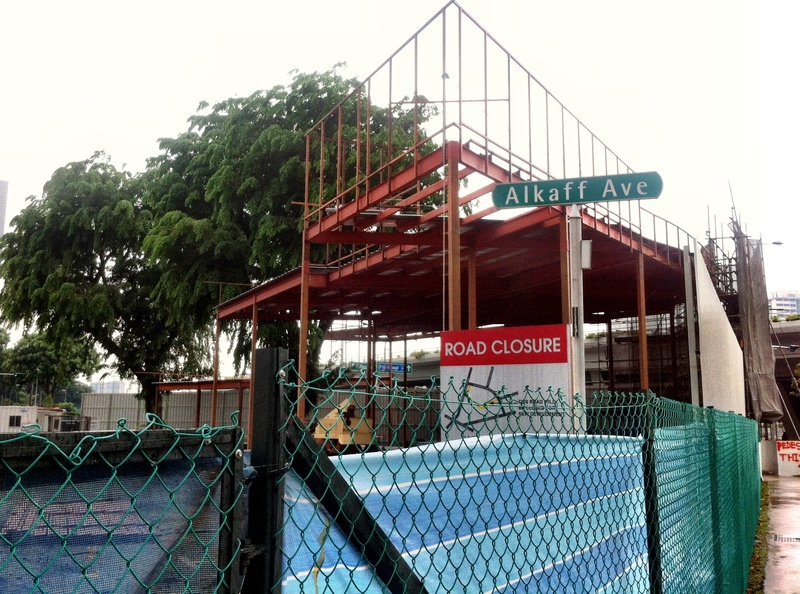 Located off MacPherson Road and along Willow Avenue, the roughly 3-acre Alkaff Gardens was named after Syed Shaik bin Abdulrahman Alkaff (b. 1880 – d.1948), the head of the famous and illustrious Singaporean Arab dynasty of Alkaffs who were recognized as affluent traders and wealthy landowners. Noted for his philanthropic deeds, S.M Alkaff suggested the idea of the Japanese styled park that would be open to the public. His building constructor brilliantly suggesting that it be lined with Japanese tea houses, have side-walks with granite chips, as well as Japanese bridges and arches. 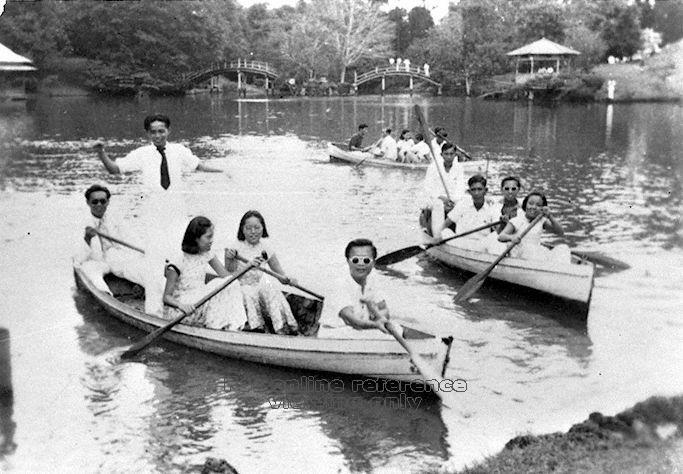 A picture perfect scenario of the Alkaff Gardens would perhaps best be represented by the image of couples and families rowing their boats around the lake, amahs taking their broodlings for a breather, and many others willing their way with picnics atop the surrounding man-made hills. Some say that an open-air stage even graced the park for many a drama performance. 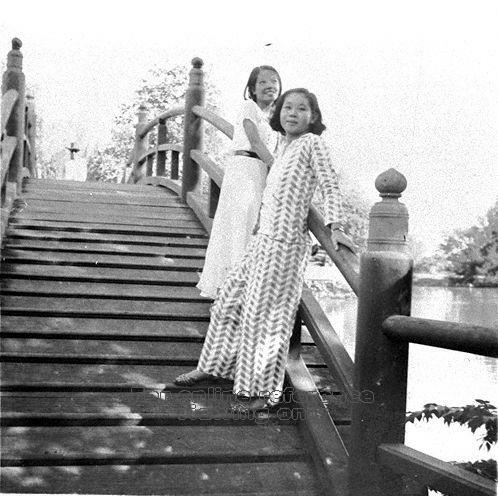 The heyday of the Alkaff Gardens however lasted for only slightly over a decade as the Japanese took control during the Japanese Occupation in 1942. Although the Garden was kept much intact, the lack of maintenance led to overgrown weeds and desolated surroundings. 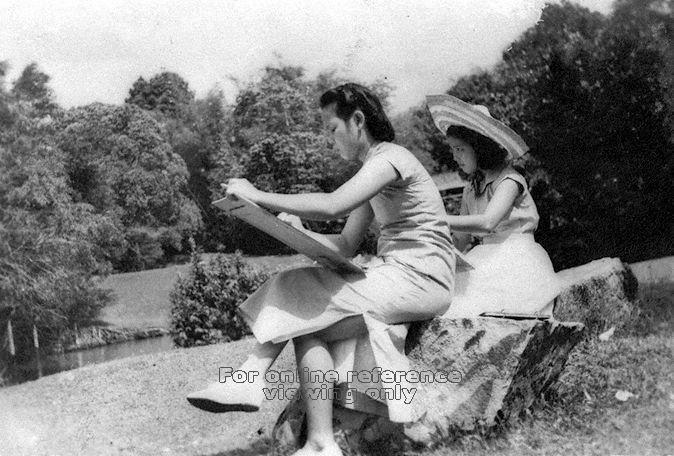 The Alkaffs eventually sold the land to H. Sennett Realty Company in 1949 for $2 million dollars and the area was converted into a series of private estates along Macpherson Road and Upper Serangoon Road. 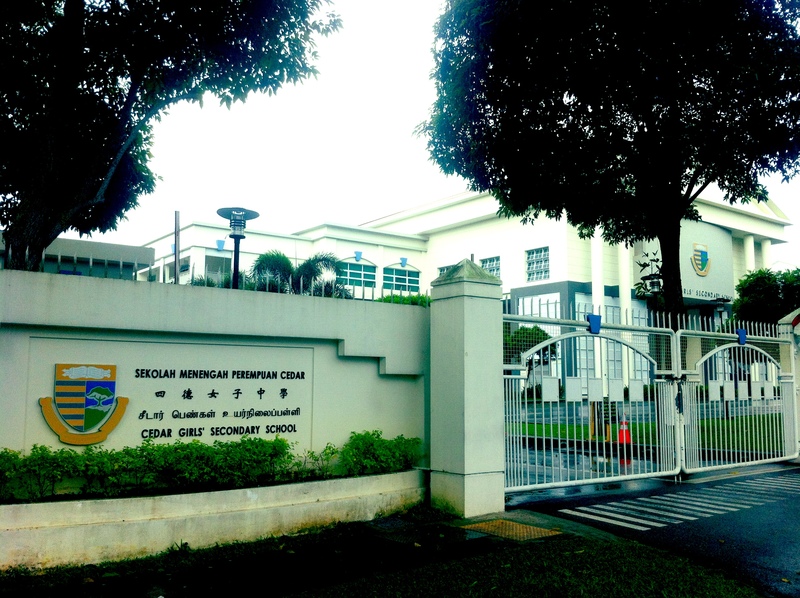 Cedar Girls’ Secondary School now occupies much of what used to be the Alkaff Gardens, and fortunately the surrounding estate still retains some legacy of the historic Alkaffs, such as the elegant Masjid Alkaff mosque and Alkaff Avenue at the junction of Macpherson and Upper Serangoon Road. 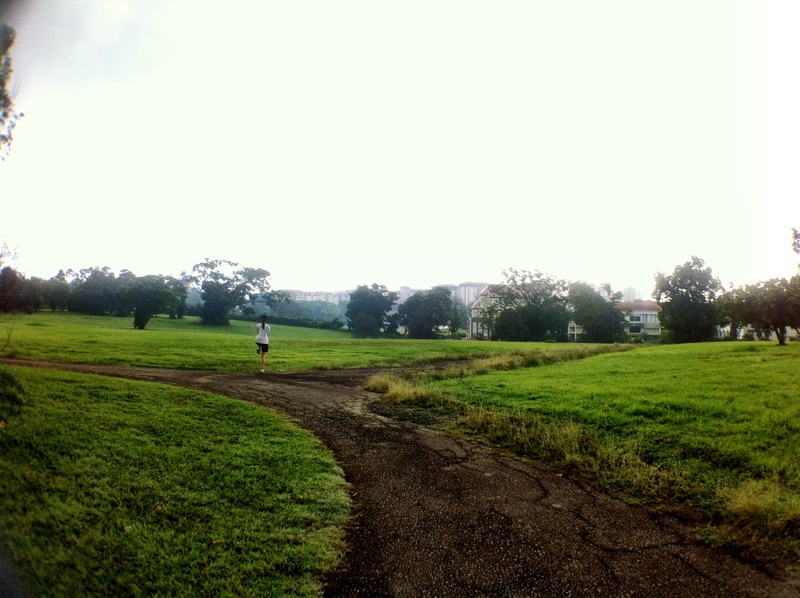 Based on some research, parts of Bidadari cemetery park would have been part of the Alkaff Gardens.